O’s Donuts in Norfolk, VA changed donuts for me forever, but Uncle Dood’s Donuts in Toms River, NJ verified that New Jersey is for serious the best at everything. It is so true that it makes me say things like ‘for serious’. 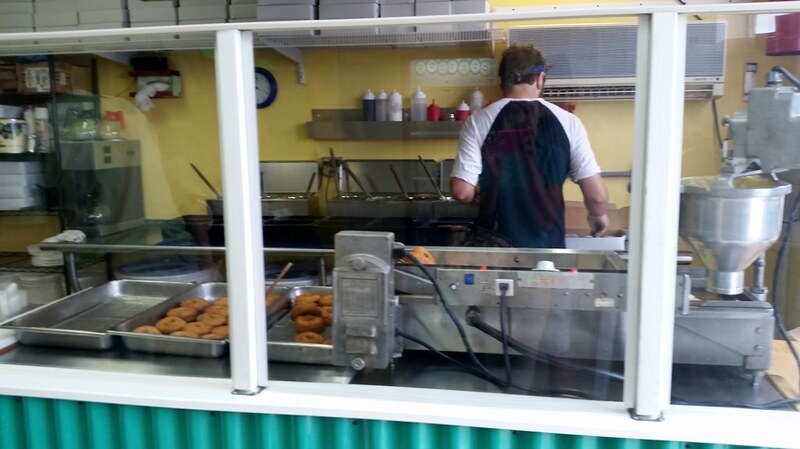 If you recall, back in this post I told you about the mind blowing experience of donuts being made to order and served warm. It was about that time that my Instagram had been blown up by friends posting about a New Jersey shore donut shop. I visited said shop and was fired up, ready for it to beat out O’s and be the subject of my next blog post. It disappointed. 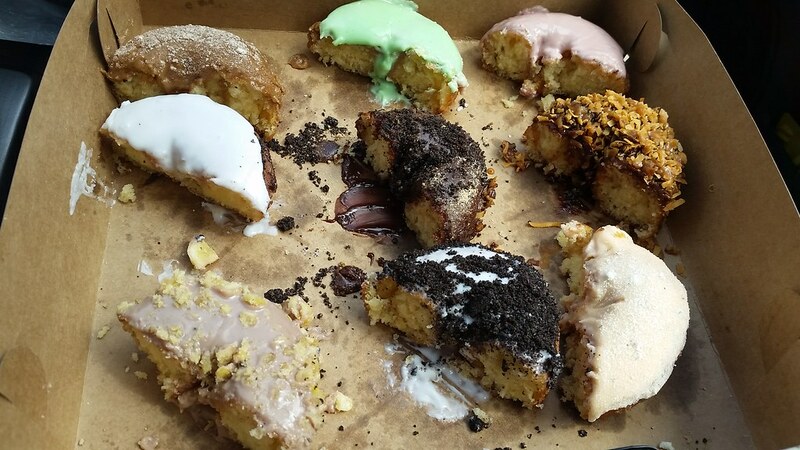 Sure, the donuts were warm, somewhat fresh, and full of creativity, but they lacked the size, the flavor, and sheer perfection that I saw in O’s. This led me to search for another New Jersey donut shop. I knew New Jersey had to have something equaling to O’s creativity and flavor, but I needed to find it. Uncle Dood’s is a tiny hole in the wall packed with not only creative minds but also really friendly people. This Tom’s River donut shop is an hour away from my home and after you try it, you’ll understand how I could take two trips there only weeks apart just for the donuts (alright, and coffee stops, too). 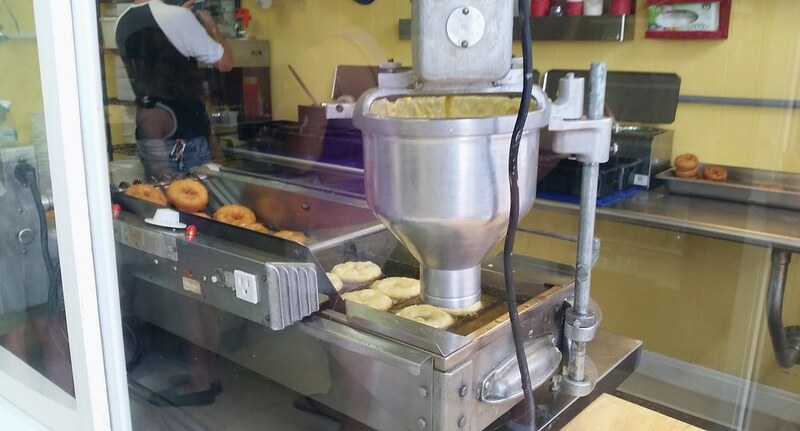 Like O’s there is a base donut being fried before your very eyes. It is cakey, it is crisp, and it could be eaten and enjoyed completely on its own. The toppings are just an added delight. The toppings, however, are the reason that I sincerely believe that Uncle Dood’s beats O’s Donuts. At O’s you pick your frosting and your toppings. That can be a little overwhelming, especially for someone like me who is indecisive. 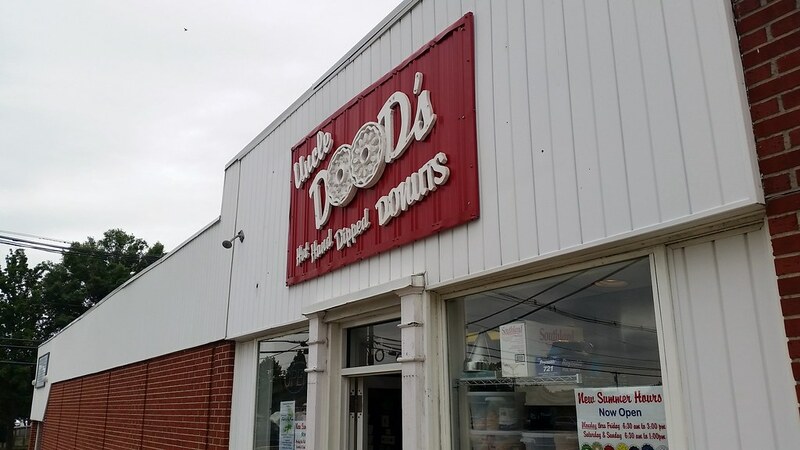 But at Uncle Dood’s you can feel free to make your own donut or choose from their menu of perfected frosting and topping combinations. Watch out though, you need cash! But the price is fair, and to be honest, they could start charging me more and I would gladly pay it. A box of nine donuts is $10, while a single donut is $1.50. I went the first time with Hubby and naturally, we ordered a box of nine. Your order is written on the inside of the box (love it!) and both times I have gone it has been less than a ten minute wait before our hot donuts were in our hands and we were out the door. In August, I ordered: Krispy Treats (Marshmallow icing & Rice Krispy), Cool Beans (Chocolate Icing & Espresso Ground), Car Bomb (Chocolate Stout Icing and Bailey’s Irish Vanilla Cream), Abominable (Powdered Sugar), Death by It (Chocolate Icing & Chocolate Sprinkles), Grave Dirt (Chocolate Icing and Oreo Crumbs), Samoa, French Toast, Vanilla-O. Looks like I went heavy on the chocolate this time. I guess that’s what happens when I make a girls’ trip to Uncle Dood’s. 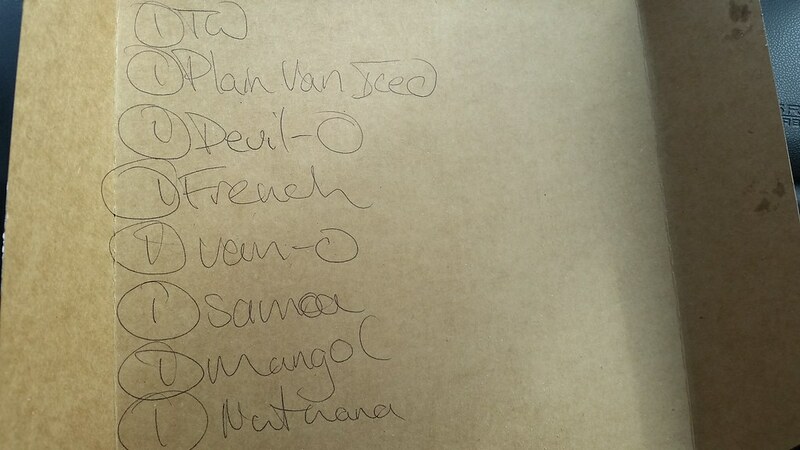 If I could only order one, it would be a French Toast, but other than that I can pick no favorites. Everything about each one of these donuts is perfect. 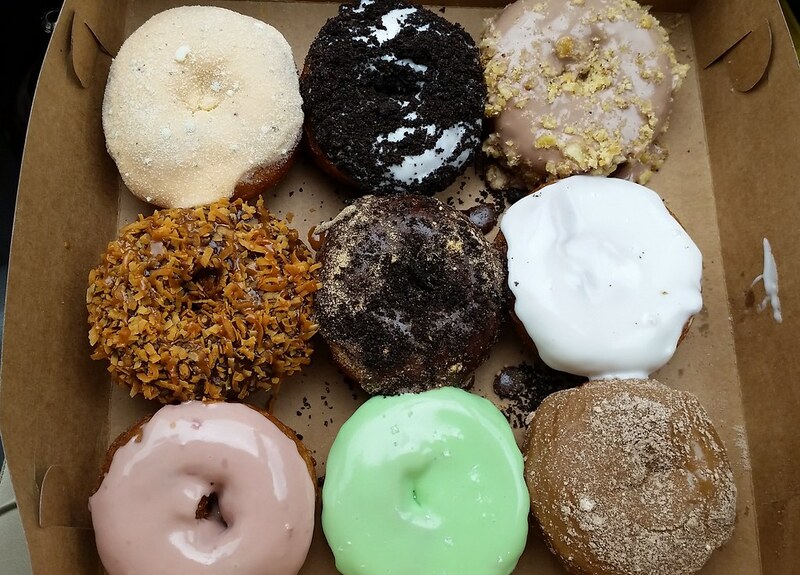 Not only does Uncle Dood’s have an amazing cakey base donut, but they have come up with brilliant and unique combinations of icings and toppings. Even the strangest of combinations (Hello, Mango Cilango, Training Wheels, and Nut Na Na) managed to amaze and instantly pleasure my taste buds. The best part about these donuts, I mean, another best part about these donuts, is that they taste just as delicious hours later. I anticipated them being either dried out, greasy or stale tasting, but after grabbing a box at 10 am, they tasted just as wonderful at 10 pm that night. 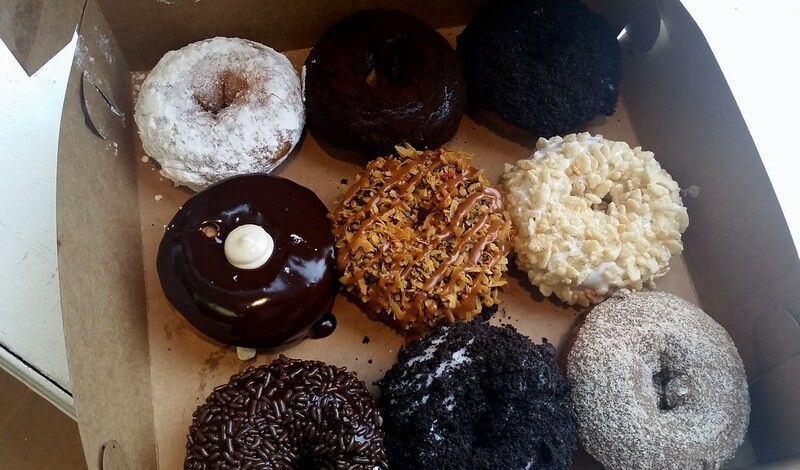 It doesn’t matter where you live in New Jersey, you need to plan a trip to Tom’s River just for these donuts! 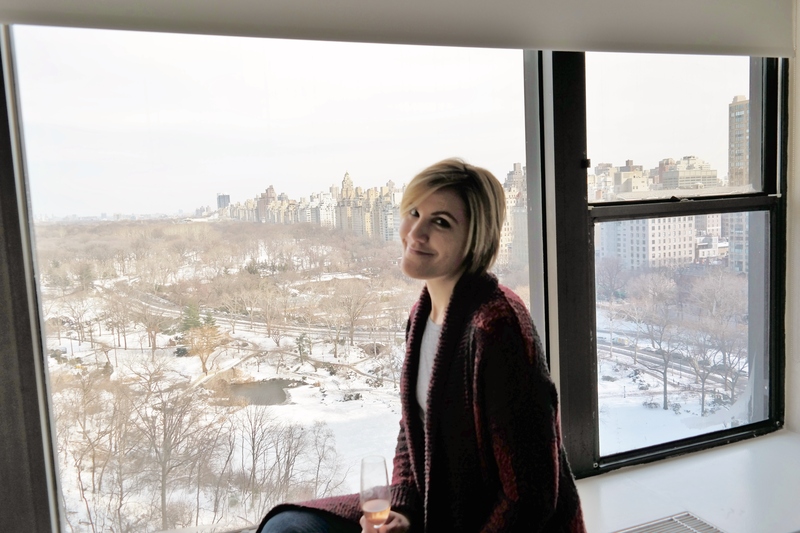 There is plenty to do around town, or of course, you could always grab a box of donuts and then hit the beach. Check the hours before you go. They currently have summer hours, but still they don’t go too late in the day. P.S. I get no kickback from telling you about the wonder that is Uncle Dood’s Donuts. They do not even know I exist. I write from sheer love and joy and desire for you to know the deliciousness of their hot, fresh, mind blowing donuts.